Throughout December, we’re going to be bringing you information on local events, meals and initiatives over the festive period. 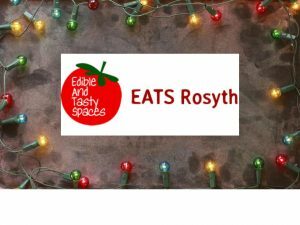 Rosyth EATS are hosting a Community Christmas Lunch in the Rosyth Community Hub, in Aberlour Street. The Lunch will start at 1pm, and there is a choice of sit in or takeaway! This is being supported by a team of volunteers and funded by Riddell PM. The team at Rosyth EATS are well used to doing Community Meals – every Thursday and Friday, they run their healthy takeaway service, using surplus food and food from their allotment, instead of it going to waste! All their community meals are pay-as-you-feel, and kids eat for free! They also run pizza nights for teens on Fridays!